Patricia M. Corrales is an attorney at law, practicing primarily in the field of immigration law, with a focus on criminal immigration defense and citizenship issues. She is a leading expert in questions pertaining to U.S. citizenship — both acquisition and derivation of U.S. citizenship as well as denaturalization or the revocation of U.S. citizenship for those who have procured their citizenship illegally or by misrepresentation. 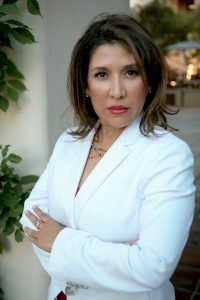 As a former attorney for the U.S. Department of Homeland Security, Immigration and Customs Enforcement (ICE) (1995-2012), Ms. Corrales is uniquely qualified to offer strategic consulting on criminal cases that have immigration consequences, as well as comprehensive representation in all criminal related matters. Ms. Corrales began her career as a Deputy District Attorney in Denver, Colorado. She then went on to join the former Immigration and Naturalization Service, and continued as a prosecutor with the creation of Immigration and Customs Enforcement (ICE). As a Senior Attorney, she was part of a team of lawyers who handled complex National Security cases. As a Senior Attorney with ICE, she worked closely with special agents from ICE, the FBI, and other law enforcement agencies, as well as various U.S. Attorneys Offices nationwide; she is recognized for providing quality legal analysis on criminal denaturalization cases. Her experience includes significant motions practice, settlement negotiations and drafting of settlement agreements and related documentation. She has received training in Privacy laws, and was the point of contact in the Los Angeles Chief Counsel's Office on issues pertaining to the Privacy Act. She has had favorable decisions published in several cases — including U.S. v. Dang, 488 F.3d 1135 (9th Cir. 2007); U.S. v. Aiman Nasser Mohalla, 545 F.Supp.2d 1035 (C.D. Cal. 2008); U.S. v. Wang, 404 F.Supp.2d 1155) (N.D. Cal. 2005). Ms. Corrales was awarded a Certificate of Appreciation and Recognition from the Federal Bureau of Investigation for successful prosecution in the case of U.S. v. Mousavi. She received a Certification of Appreciation from the Los Angeles Sheriff's Department for successful prosecution in a cybercrime case. The Office of the Principal Legal Advisor presented Ms. Corrales with a Special Achievement Award for contributions made to the ICE in successfully achieving significant mission goals, and a Special Achievement AWARD for her successful litigation in the case of U.S. v. Ahmadazi. An avid reader, and a writer, Ms. Corrales is working on her first novel. She enjoys spending time with her children, working out, running, and watching movies.